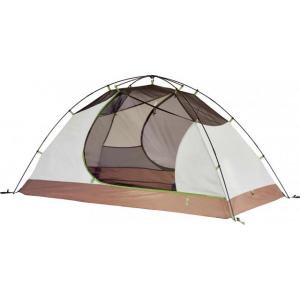 Good car camping tent and passable for backpacking. 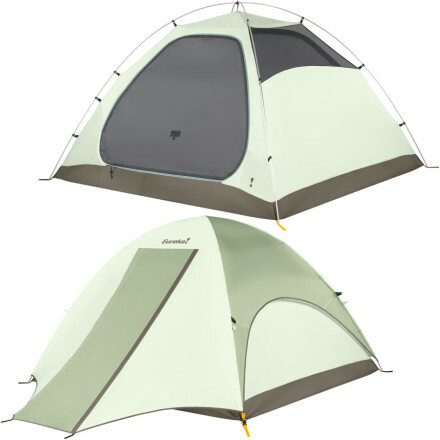 Good car camping tent and passable for backpacking. Ample room, sturdy build, attractive design, double doors and vestibules make for easy access and extra storage area. 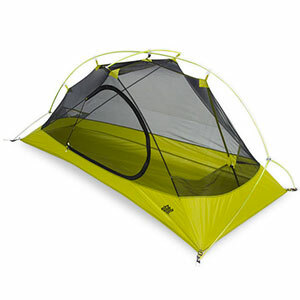 I purchased this tent mostly for use as a small car camping tent with the option to use it for backpacking if needed. So far it's been used only for car camping. 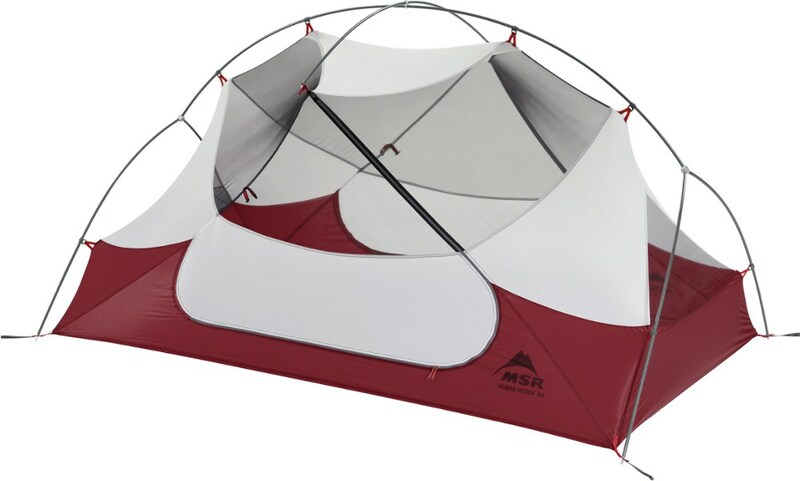 Setup is simple with two people and easily doable with one and sets up securely with all the fastening points. We had some fairly high winds in our first night and this tent felt solid. Plenty large enough for two people and the two 25lb dogs it's been tasked with keeping out of the elements. It had rained heavily the night prior to our first use so the ground and trees were wet where we put the tent up. I used a footprint so there wasn't much concern about ground moisture, but no problems from any residual moisture occurred. We had some rain the following night, and the tent kept everything dry, including two pairs of boots and a small camp chair stored in the vestibules. There was hardly any condensation inside the tent in the morning, less than I have experienced in most other tents I've used, and we were kept warm through the night (temps in the mid 30s to mid 20s with wind blowing off Lake Michigan) enough to sleep with our bags open. 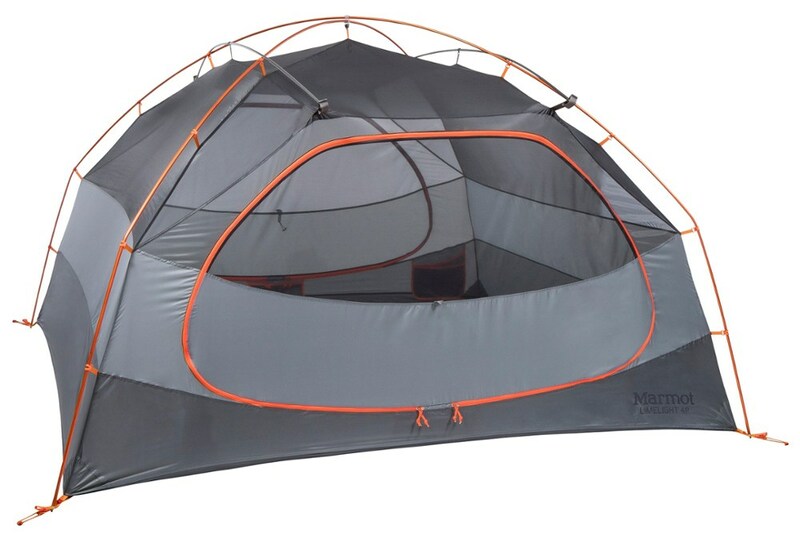 The only complaints about this tent were the limited visibility and access to the outer zipper on the vestibule. From inside the tent, with the rain fly on, it's nearly impossible to see out. There is some visibility if the rainfly is opened and secured back, but not worth depending on. And the zipper to open the rainfly is so far out from the door that you basically have to move completely out of the tent to open the rain fly. Not a deal breaker, but not very convenient (and drew quite a few grumbles from my girlfriend). This last point may seem silly, but for me it's important: it's not hideous to look at. 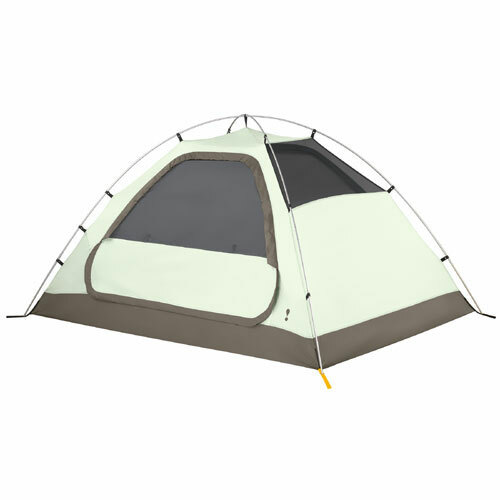 It seems like so many tents are made with garish color schemes or have oversized logos on them but not the Scenic Pass 3xt. 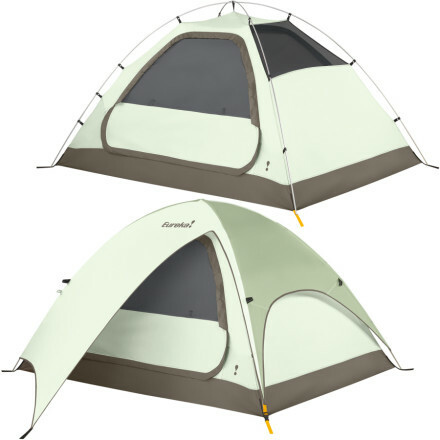 It's a nice neutral color that blends well with a natural environment and won't be an eyesore in your campsite — sometimes that really matters. Sure, if you need to make sure your camp can be seen in some survival situation go for the neon yellows or reds, but for casual camping this color scheme works great. The Eureka! Scenic Pass 3XT is not available from the stores we monitor. It was last seen October 31, 2015	at REI.